The house is a shelter and a place to rest. 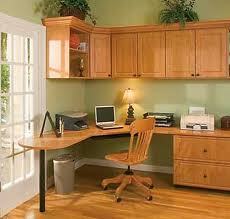 But for some people, the house can also be used as an office that can run various business activities. The business sector that can be worked is also increasingly diverse. Especially when the network of information technology and telecommunications is widespread and well established, enabling a person can work anytime and from almost anywhere. The trend was changed to accompany these developments; an online shopping becomes exciting potential for being developed. Of course, working at home also requires a device that supports and is able to accommodate various needs. That's why working at home also means that the right set up the equipment so that the whole job can be done well, improving labor productivity and professionalism. The devices are initial investment to launch a business. Internet for example, is very essential in order to facilitate communication and reach out consumers and clients with ease. Therefore, the current internet network is necessary, especially if the business which held very depend on the Internet network as well as selling via the internet. Router could be an option, for the internet connection is easier and faster, using a router also allows multiple units of PC or laptop connected with internet network simultaneously and wirelessly. Multifunction printer that capable of printing, copying, scanning or faxing documents is becoming one of the essential devices. Multifunction printers now also been designed to meet various needs, ranging from small office home office needs to corporations with different capabilities and features. Do not forget to view the ability to print both the speed and print quality. In addition, to be more practically, connect the printer with multiple units of PCs at the same time making it easier for everyone to print a document. With quite a few essential tools, your business could be run. What is clear, do calculate cautiously when purchasing the devices will avoid you from in vain buying. I agree with you, Lina. We have about 5 pc connected to the internet we use router and it is very good. You are absolutely right. Neatly presented!